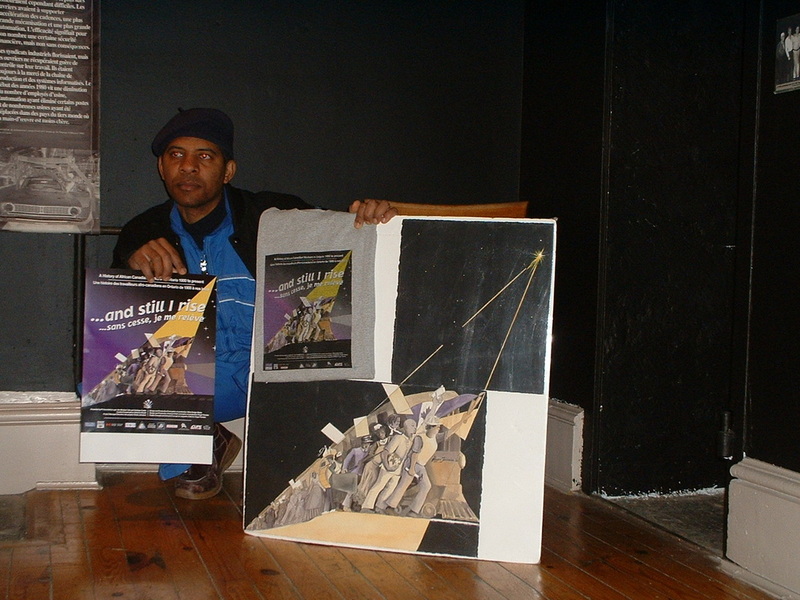 From February 2, 2008 to April 26, 2008, the Woodstock Museum presented "And Still I Rise" a travelling exhibit from the Hamilton Workers Arts & Heritage Centre that explored how escaped slaves and free Blacks migrated to Canada during the era of the Underground Railroad. The hardships they endured in the workplace as skilled and unskilled trades to fill a tremendous need in labour during 19th century Canada. I presented local content of various people in Oxford County from the turn of the century to present times. I also displayed my exhibit Almost Forgotten: Black History in Oxford County. Roger Ferreira is the artist who designed the logo for the travelling exhibit “and still I rise…: A History of African Canadian Workers in Ontario 1900s to Present.” This multimedia exhibit has been home at the Ontario Workers Arts and Heritage Centre (WAHC) on Stuart Street in Hamilton, Ontario since March 16, 2003 which ran for a year. Afterwards it traveled to key areas throughout Ontario associated to the history of the Underground Railroad. From February to April 2008, this exhibit will be a temporary home at the Woodstock Museum which is another area that has a history of the Underground Railroad. This exhibit chronicles the working experiences of African Canadian workers in Hamilton during the turn of the century. To put this exhibit into our perspective, the Woodstock Museum will be show casing Black worker’s experiences in the work force throughout Oxford County from the 1800s to the present.